A visual impairment that causes an acuity of 20/70 or less (in the better eye) and is not correctable with standard prescription glasses, or medical treatment, is considered ‘low vision.’ Although the term seems self-explanatory, it is not universally known, used predominantly by professionals in the field of vision rehabilitation and ophthalmology. 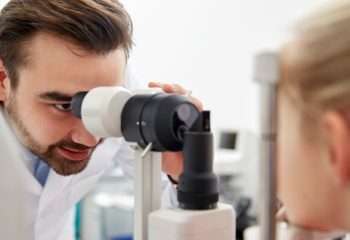 People with low vision can benefit from higher powered magnification that may take the form of glasses, handheld devices, stand magnifiers and desktop video magnifiers. These specialized magnifiers range from 3x to 30x. A low vision evaluation with a specialist is a good opportunity to see what works best for you. 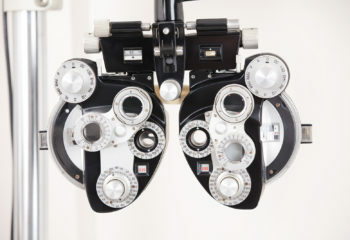 Patients are not typically referred for vision rehab services until they are legally blind (20/200 in the best eye), because that is when fees for services are covered. So living with a progressive vision loss is your best advantage to get into the habit of making adjustments long before legal blindness. Getting organized is key to living successfully with low vision. It may not be as easy to look for things as it once was. A neat and tidy environment will compensate in substantial ways. Think about how nice it is to open a drawer and find exactly what you’re looking for because it is right where you left it. With low vision often it is easier to put our hands on something before our eyes see that it’s there. Let’s face it, everyone feels better when they’re organized. It gives us all a better sense of security. Like all good things we do for ourselves, order is something we have to work at and get into the habit of maintaining. This can be a difficult exercise for many people, but it is the absolute most important first step. Get rid of the stacks of catalogs and unopened junk mail you are never going to look at. Arrange for some help from a friend or a professional. Let it go. Purge! This eliminates a major safety hazard and it’s truly cathartic. 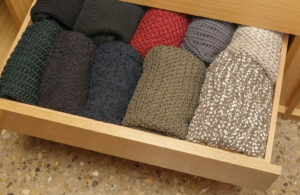 An organized drawer with folded clothing. Overstuffed, disorganized closets are totally unpleasant and way too difficult to find anything in. Get rid of the clothes that don’t fit or haven’t been worn in a while. It’s always good to be able to move hangers easily to find what you’re looking for. Set up the closet as you like, by category, color, season. Keep things neatly folded on shelves or as preferred. Get shoes in order on door organizers or on racks, keeping them out of your path to prevent stumbles. 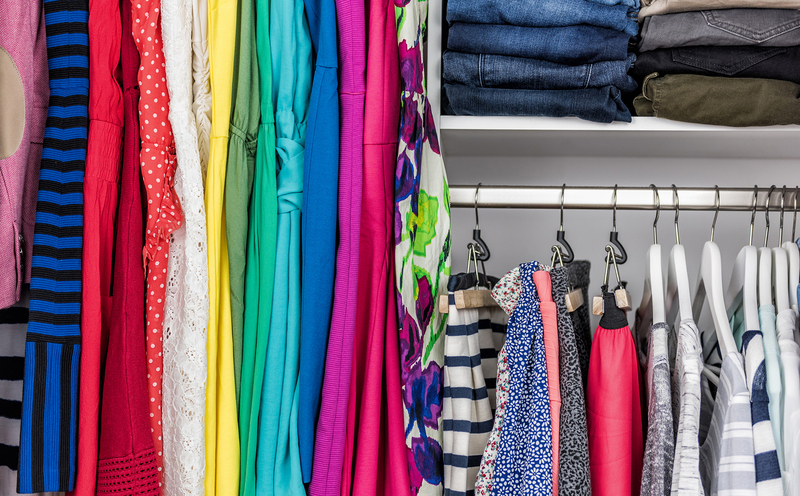 Dressers also crave coordination, as does the coat closet. Might be wise to get some help here to look over the clothes and make sure they’re looking good. 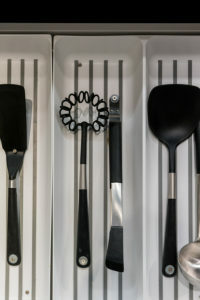 Cooking utensils neatly placed in a drawer kitchen organizer. A place filled with cabinets and drawers is just asking to be organized. Cooking utensils and silverware should be neatly arranged so you can put your hand on the item you’re looking for. Consider using brightly colored utensils or contrasted dishes for better visual ID. Organize food pantry items as preferred and keep everything in it’s designated place. Keep favorites up front. Use textured bump dots for touch identification on frequently used appliance settings. This is usually a small room that houses many small products where order is essential. In the bathroom, less is always best. Pare down to the everyday items. Keep cabinet shelves tidy. Do your best to remove clutter from surfaces. Put away or discard items not used often. Eliminating chaos among your things will help you every single day. Explain to family members, and remind them from time to time, the importance of keeping your world organized.